It can be easy when you take a shower or flush a toilet to not think about what happens to that water or that waste. Most homes go to the sewer system, and that waste never has to be thought about again. But if you have a septic system then what goes down your drains does need to be considered. Have you ever had times that you have to do all of the laundry, or were taking extra long showers? All of these types of events affect your septic system. When there is more water being put in the tank, then the waste in the tank that should settle at the bottom gets brought to the top and can clog drainage systems, causing you future problems. In this case, you would need to call a plumber to come in and clean out those drains so that your septic system can continue to function as usual. You will need to be careful what you put down your drain. For example, you may want to utilize wet wipes that advertise themselves as being biodegradable and can be flushed. However, these are very bad for septic systems. They may be able to, but they do so at a very different rate than human waste. You will also need be careful with the soaps and chemicals that you put down there. Certain chemicals can kill off the bacteria that is used in your septic system to break things down, making your system inefficient. We recommend that you get your septic tank pumped every three to five years. If for some reason you have not had it pumped in that time frame it can lead to some drastic issues that are costly and may leave you needing to replace your entire septic system. If you have a septic system and want an experienced and professional plumber to help you maintain it, we would love to be that company. 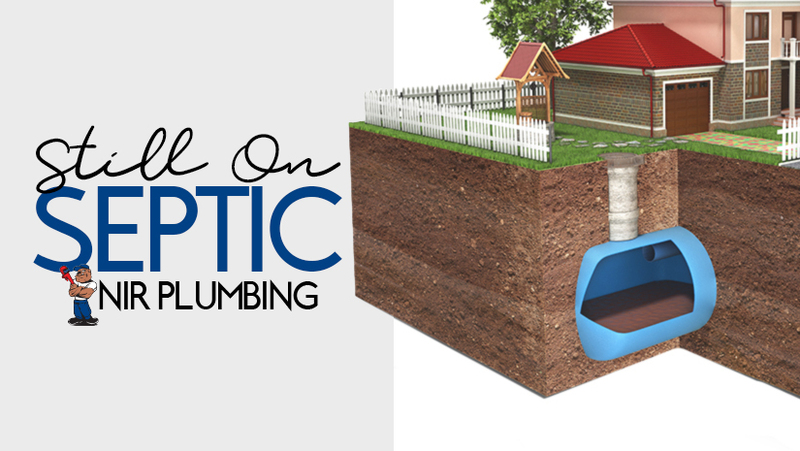 We are aware of all of the unique issues that septic tanks can experience.